What could be easier or more comforting? This is just a simple rice pilaf. I make it for a quick dinner whenever I have leftover roast chicken. You could also saute' a chicken cutlet or two in some butter and olive oil with a dash of salt and pepper --so easy!! You can see that I used my homemade chicken stock but I won't be too upset if you use a good organic prepared version (Swanson's organic chicken broth wouldn't be too bad). Of course you can use light brown or white rice but please try it with the brown. 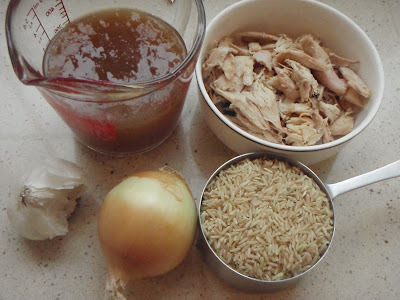 It is really hearty and comforting --I love brown rice! I also sometimes add lentils--very hearty! Heat oil and 1 Tablespoon of butter in a saucepan over medium heat. Add chopped onion & garlic and cook until almost soft, about 2-3 minutes. 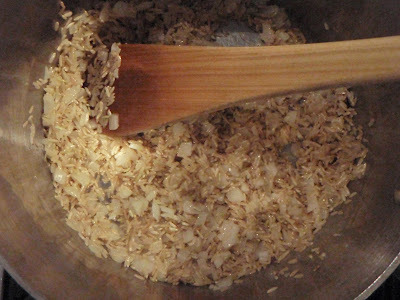 Add the rice and cook for another minute or two stirring to coat the rice. Add the broth, chicken, and salt (if homemade broth) and pepper. 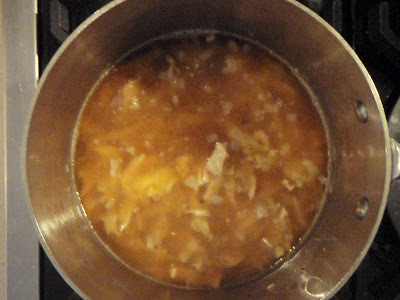 Bring to a boil and then cover tightly with a lid and reduce to simmer for 45 minutes (or whatever you rice brand says). After 45 minutes remove from heat and let stand for 5 more minutes. Add 2-3 tablespoons of butter and stir. Taste for seasoning and add additional salt or pepper if needed. This recipe serves 4-6 as main course. This recipes doubles easily! OMG! My family and I LOVE the food that is on your website! Tonight my mom made the quesadillas that you have on your website and we ate 12 of them! They consisted of all of the different kinds you suggested. Even my picky eater sister samantha loved them, and we all want them in our lunch tomorrow! 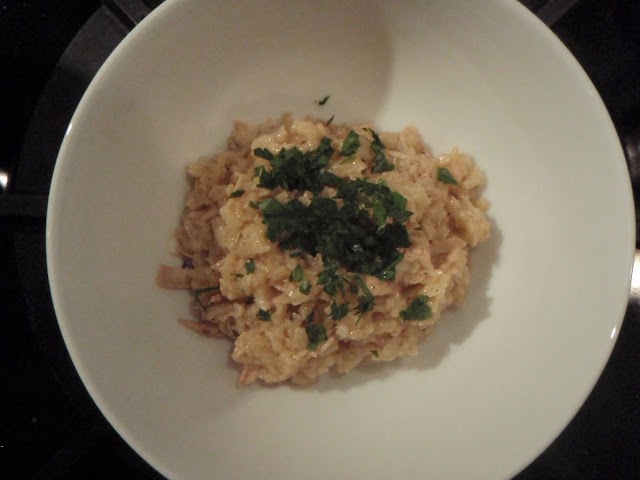 We all really appreciate the different recipes that you have on you r blog and so far, they all are delicious, including the rice-pilaf that we had a couple days before. Congrats on the great website! Thank you for becoming a follower!! I am loving Real Food! 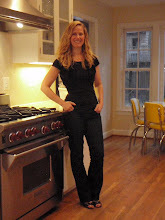 I just recommended it and her Real Food for Mother and Baby to a friend that is pregnant. The magazine has not arrived yet--I am looking forward to checking it out! Thanks so much for taking the time to make a comment! !